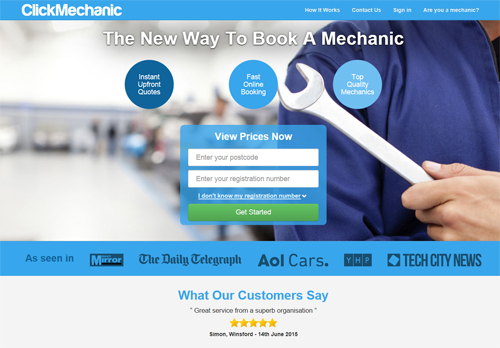 This is a guest blog by ClickMechanic Co-Founder Andrew Jervis. 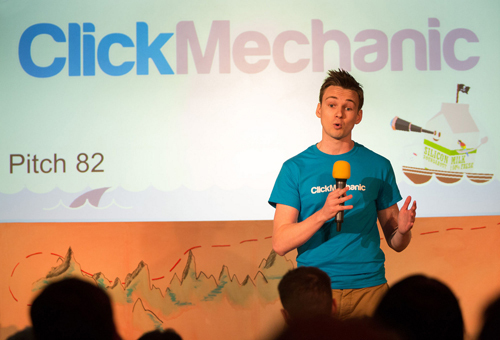 ClickMechanic recently raised a seed round led by the former CEO of JustEat. Raising capital for any start-up with big aspirations is one of the toughest challenges it will face. So how do you persuade a business angel or investor to part with their cash to fuel your growth? There are sometimes exceptions to this rule but the general status quo should be that you are either raising or not. Why? Well raising can be one of the most distracting things you can do as a start-up founder whether it be going to numerous investor meetings, compiling spreadsheets for due diligence or negotiating a term sheet. Because of this it’s so hard in the early days when you have limited resources to try and build your product, grow and get investment so our first tip would be to either focus on product and growth, or raising. Investors are in the game of investing because they want a return. If they don’t think your market is big enough to give a 10x return on the exit of the business don’t bother going there. As a very general rule of thumb, try and ensure that your market value is at least £1 billion. You hear it all the time. Investors invest in people not ideas and the old cliche is true. Ideas are cheap, they’re everywhere and they can change on a whim. Finding awesome people who have the key qualities required to build a success is harder. Make sure your team is smart, hard-working and ready to stay the course. Start-ups take years to build (often 5 or more) not weeks, so if your team doesn’t have the stomach for the long haul look to find team members who do. It’s one thing talking a good game, it’s another making it happen, getting paying customers and having month on month growth. Investors love to see real progression in the business and there is no substitute for paying customers. If they think you can execute well, they’ll want to back you. Social proof is very real when it comes to investment. If you’ve had 30 investor meetings and no one has shown an intent to invest this is a red flag to investors as to why no one wants to get involved. However on the flip side if you have a term sheet from an investor this immediately alerts other investors that this must be a deal worth considering as its validated by another investor. Get a term sheet from another investor and instantly you could start to build momentum towards being the next hot thing in the start-up world. When this happens you have leverage to negotiate a better position for valuation and terms. Raising cash is never easy but if you stick by these 5 rules, it’ll be sure to help you on your quest. Good luck! (Editor says: Download our free ‘Sage One Guide to Funding‘ for more handy tips and advice to help you finance your business).